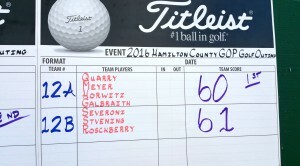 | CABR Group Takes 1st Place in Golf Outing! 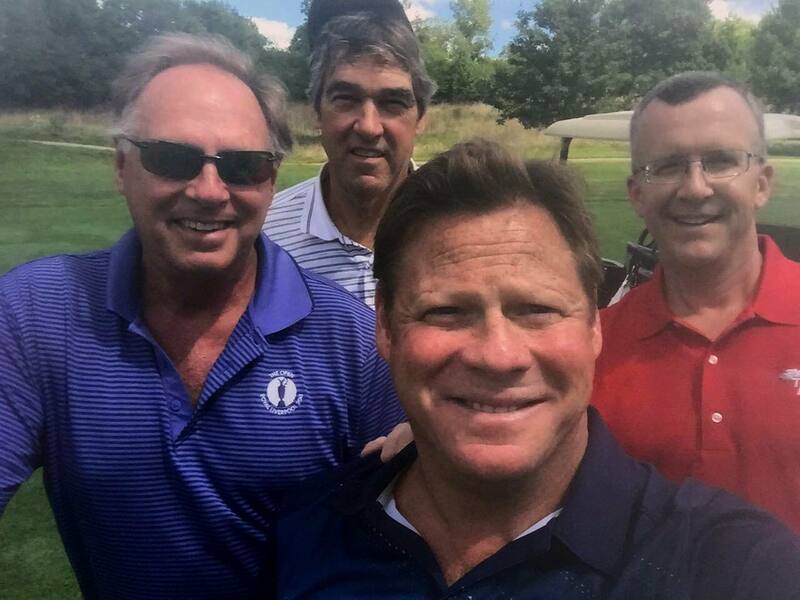 CABR Group Takes 1st Place in Golf Outing! 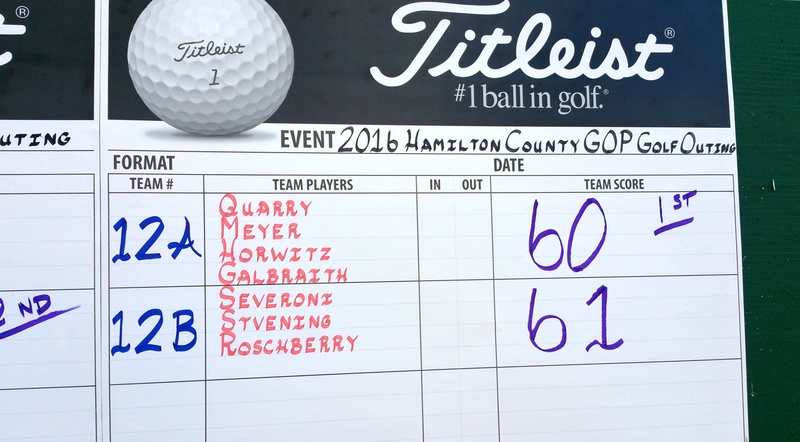 CABR fielded another foursome in the Hamilton County GOP Golf Outing on Thurs-day, September 1, 2016 at Glenview Golf Course and took 1st Place with a score of 60, which is 12 under par! Pictured are the Champion Group members starting with the MVP Kelly Meyer (left) from Sibcy Cline. Kelly’s smooth tempo and sweet swing put the team in great position all day. John Galbraith (back left) of Galbraith Realty was strong and steady from start to finish. David Horwitz (front right) from Star One certainly brought his A game, delivering timely shots the entire round. Mark Quarry (back right), Director of Government Affairs, delivered some timely shots and putts too. The biggest moment of the day was on Hole 6 of Glenview’s West Course. Kelly Meyer put the team in primo position by nearly driving the green, leaving his shot on the left fringe of the green approxi-mately 50 feet from the hole. John, David and Mark took (3) very strong runs at making the putt but just missed. Then Kelly, after grinding for a minute or two over the line and speed, rolled in the 2nd shot for an Eagle! A shot that will live for-ever in CABR Golf lore! Many area Ohio General Assembly members witnessed CABR’s greatness, including: State Representatives Tom Brinkman, Bill Blessing, Jonathan Dever, Lou Terhar and State Senator Bill Seitz, as well as other state representatives and senators from across Ohio. Congratulations to these 4 men who represented CABR mightily! Looking forward to next year!